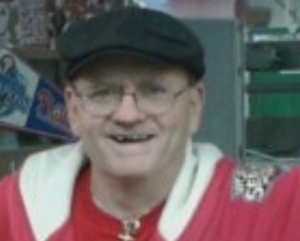 Louis T. Barrett, 65, of Bensalem passed away on Saturday, January 19th at his home. He was born in Chester to Louis and Kathryn Barrett, where he was raised and attended Chester High School. After high School Lou served in the US Army during the Vietnam Conflict where he was a communications specialist. He worked as a machinist at the Philadelphia Navy Yard for 20 years, and then at the Willow Grove Naval Air Station for 15 years before his retirement. He was an avid sports fan, especially of the Phillies and Eagles. He was predeceased by his wife, Lori; brothers, Joseph, William, Jack, and Thomas Savage; sister, Kathleen Martinenza. He is survived by his sons, Sean Barrett, Greg Barrett (Tara), and Brian Barrett (Katrina); brothers, Patrick, James (Karen), and Harry (Maria) Savage, William Barrett (Gloria); sister, Frances Bothwell; 7 grandchildren; faithful dog, Molly; many nieces and nephews. His funeral service will be held on Friday, January 25th at 11am at the Joseph A. Ward Funeral Home 1459 Market St. Linwood, PA. Friends and family are invited to call at the funeral home from 10-11am. Burial will follow in Lawn Croft Cemetery. Louie, you will be missed! I will be traveling Friday, but I plan on listening to RIPPLE!! !